My son has made tremendous strides during his sessions with Marena. She structures the sessions to address his needs and keeps it fun for him. I like the way she gives us homework and activities to work on as a family." "Tutoring by an education professional is the best gift you can give to your child and to yourself. Prior to tutoring, our evenings were marathons of homework and conflict. Having Ms. Marena Mitchell assist Pat with homework freed my son and I to have quality fun and family time, instead. Ms. Mitchell was the most professional, effective, and kind tutor my son had the good fortune to work with. Pat had significant behavioral and temperamental issues which interfered with his ability to focus and complete his work. Ms. Marena showed great creativity and patience in finding ways to help him focus. By treating him with respectful attention, she fostered that attribute in him, which improved his interpersonal skills while getting his homework done. Ms. Mitchell’s steady guidance helped Pat to formulate study habits which are still serving him well in college. He considers her one of the most important people in his childhood development." - She is always on time and very respectful of our time. -Communication is timely and detailed. From our first day, we had goals that were set as well as timelines. These timelines are reviewed monthly. -She is always available via email or text to answer any question within in the day. -She is very organized and works that organization into each session to help with each goal that we have set for my son. -She is very encouraging and positive and makes sessions more “tolerable” for a 13 year old boy. Through her encouragement, she helps us, as parents, feel that they are not alone in the process of getting through the next stage of learning. We enjoy Marena and we look forward to our continued service with her." "During the summer when my three-year-old son was reluctant to sit down to work on speech, Miss Marena came in and made therapy so fun that he became eager to work with her and do homework in between sessions. Instead of only drilling with worksheets, Marena used a variety of instruction that allowed my son to move his body, listen to music and manipulate objects. He soared through his speech goals and didn't even know just how hard he was working! Marena's professionalism, sensitivity, and great parent communication couldn't have been more impressive and appreciated!" "Marena Mitchell is a fabulous person first and then you add on the talent she has to engage people around her. She is truly making a difference by connecting to all families with young children. She is providing an effective avenue for parents to receive the "best kept secret"...everyone has the capability of reaching a young child through your own individual talent and Marena is going the extra mile to encourage each of us as parents, grandparents, aunts, and uncles...I'm humbled by her abilities..."
"What a remarkable improvement I have seen in my grandson since you have been working with him. His sentences are longer, there are verbs in the sentences, and he has quickly substituted "me" for "I". You are a remarkable speech/language therapist and we are so fortunate to have found you. I know he is still very delayed, but now I am no longer in a panic that he will not be able to speak to friends in kindergarten." "We were having behavioral issues with our 3.5 year old son and tried everything we could think of, so we asked Bringing Therapy Home for some help. A parenting mentor came to our home to observe and help us with ideas. The fresh, objective, professional third party help was exactly what we needed! She worked with us, the parents, to help us identify activities, games, ways of thinking, and even helping our son identify and express his emotions. We were thankful to see his emotional growth from the first visit and between each session. He is doing much better now and so are we! Thanks again for the wonderful experience!" "The groups are a great opportunity for our son to learn new skills while also learning how to appropriately socialize with peers. Marena and the team do a great job of keeping us up to date on our child's skills and what he is learning. Plus, our son really enjoys them!" "Thank you so much for your work and dedication to these groups. My son learned valuable skills and I felt like you all genuinely care about him and his progress." "Jack loved his classes this summer! We are already looking forward to next year! Thanks to all the amazing teachers for being so sweet and caring. Jack felt comfortable right away! Can't wait to use our new skills in kindergarten." "I can tell James always had a great time at Groups - the activities and themes were so fun and creative. I appreciate how willing and able the therapists were to adapt each activity to fit the child, while still making sure the child felt like part of the main group. 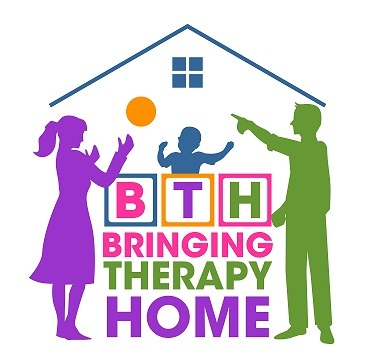 I love that BTH has now been able to work with James in both the home and group settings. I think this helps paint a clearer picture of who he is and what his goals should be. Thanks for everything!" "I am very thankful for this kind of class that is provided by a highly skilled SLP and OT. This is the perfect set up for what my son needs. Without this kind of class being offered my son would miss out of the opportunity to have peer interaction, learn to be away from mama, practice verbal skills, following instructions and learning to navigate in a "classroom" setting. Typical preschool setting could not meet his needs like this type of class offers with size, skills of teachers, communication with parents, location, and just overall love of our children. It is extremely obvious that you love what you do and the children and us parents are super thankful for what you do!" "I love you guys! I love that my son was able to grow and learn with your groups at a reasonable cost for our family. After a couple years of digging a big debt to help him, it was refreshing to find a great group of people that can help him at a rate we could afford! I can't wait to continue with your Friday groups in the fall." "My son has private speech therapy at home and I didn't know how he would do in larger group with peers because he is very shy. Marena and Mary were so energetic, kind, fun, silly, creative, and respectful to him and of him. He participated in every class and was excited and proud of what he was doing, making, and, at the end, getting to bring home. He loved the class because he was playing while learning. He was always engaged and active. I loved the handouts, communication, and collaboration between the teachers and parents." "It was most helpful to be a part of my son's learning process and have tools to apply outside of the therapy that were familiar to him and fun for all of us to use. My husband and I, as well as my parents, could definitely see a difference in our son after having had the therapy offered!"